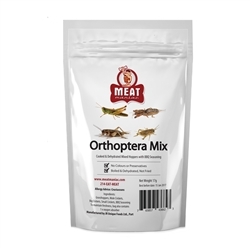 Meat Maniac Orthoptera Mix contains a sampler of 5 grasshoppers, 10 mole crickets, 10 big crickets & 10 small crickets. They are tasty and delicious, pack a nice crunch and are great for kids parties and Halloween. 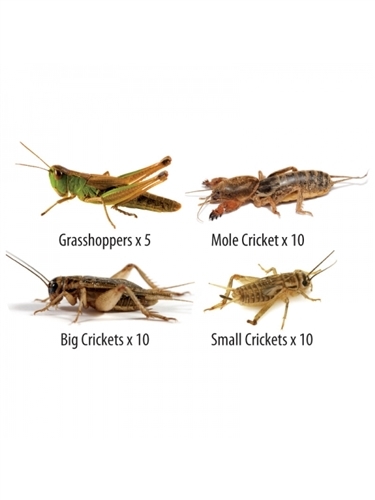 Our crickets are cooked & dehydrated, not fried, and seasoned with bbq (17g).